India’s powerful quasi-judicial environmental watchdog, National Green Tribunal (NTG), in its order on February 14, has asked the Rajkot Municipal Corporation’s (RMC’s) sold waste management site contractors, Hanjer Biotech Energy, to pay up Rs 25 lakh to the affected farmers without any delay, adding, if the contractors refuse to comply within 15 days, the district collector, Rajkot, should intervene and attach their properties and recover the dues. The order has come as a big boon to the farmers, who had complained that their fields had got damaged as a result of the contractors’ failure to comply by environmental norms. Asking the authorities to comply by the order with immediate effect and send a “compliance report” by March 25, the order has come following the failure of the contractors to approach the Supreme Court against the NGT order of December 2013 to pay the amount within a stipulated period. “The counsel for project proponent had sought time to approach the Hon’ble Apex Court, seeking stay as regards payment of amount (Rs 25 lakh) as directed by this tribunal. We have not received any stay order from the Hon’ble Apex Court. No intimation is received about filing of proceedings in the Hon’ble Apex Court”, the NTG explained, justifying its tough stance. The RMC was in contract with the Hanjer Biotech Energies since 2005 for providing adequate service facility, maintaining hygiene, waste conservation and managing solid waste at the municipal solid waste (MSW) landfill site in accordance with the MSW rules. 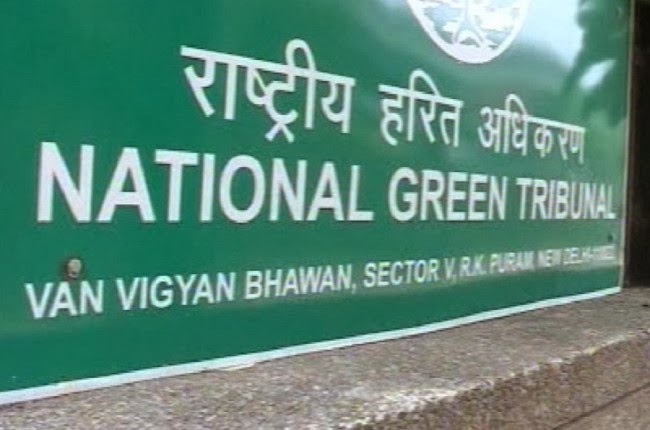 “But as a result of complete mismanagement of the waste at the landsite, the rural population of the surrounding regions was facing problems of leachate-groundwater problem, adversely impacting ambient air quality, and degradation of the quality of farmlands”, says Mahesh Pandya of the Paryavaran Mitra, which had approached the NGT. “The Gujarat Pollution Control Board (GPCB) issued several notices to the RMC, yet the latter refused to take any action towards rectifying the situation. As a result, a case was filed by the non-profit environmental organization, Paryavaran Mitra, environmentalist Shailendrasinh Jadeja and residents of village Nakravadi, which was affected the most, in the National Green Tribunal (NGT) against the GPCB, the Central Pollution Control Board (CPCB), the RMC and the HBEPL for polluting the atmosphere around”, Pandya added. · The present site where MSW was being dumped should be closed, as it was selected against rules. · Compensation should be paid to the people who have been affected in terms of livestock, health, village common lands, source of water, agriculture etc. · During the visit to the landfill by authorities various irregularities were seen, even then no action was taken. · There should be restitution of land in question to its original position. During the arguments that ensued, the GPCB said it took prompt action against the RMC when complaints were received in the matter. It also said that if any harsh or monetary restrictions were imposed leading to cancellation of contract it would have led to environmental pollution. It simultaneously said that the RMC had failed to ensure compliance to ensure air pollution control, nor did it build any proper fencing to ensure that the residual waste that was being dumped remained within the defined premises. As for the CPCB, it said the matter concerned Gujarat, and it had no role to play, and declined to give any comments.